Young Turks Club, KPOPIANA, http://kpoparchives.omeka.net/items/show/1526. Young Turks Club (YTC) is the brainchild of former Seo Taiji and the Boys’ member Lee Juno, who began his own entertainment company after his group’s disbandment in 1996. Young Turks Club members included Lim Sung Eun, Song Jin Ah,Han Hyun Nam, Ji Joon Goo, and Choi Seung Min. . . .
To see the enhanced profile, including discographies and videographies, click the image to go to KPOPIANA, KPK’s multimedia database on Korean popular music of the Hallyu era! Despite its status as a subculture, Korean popular music of the Hallyu era (K-pop) has a significant cultural impact in the United States. Combining elements of Korean and other cultures, it appeals to fans of varying ages and ethnicities. Using surveys and analysis of online K-pop culture originating in the United States, this paper will show that hybridization explains the appeal of and the backlash against K-pop. K-pop appeals to American fans because it is simultaneously similar to and different from American popular culture. American fans recognize elements of American culture and they embrace Korean cultural elements. 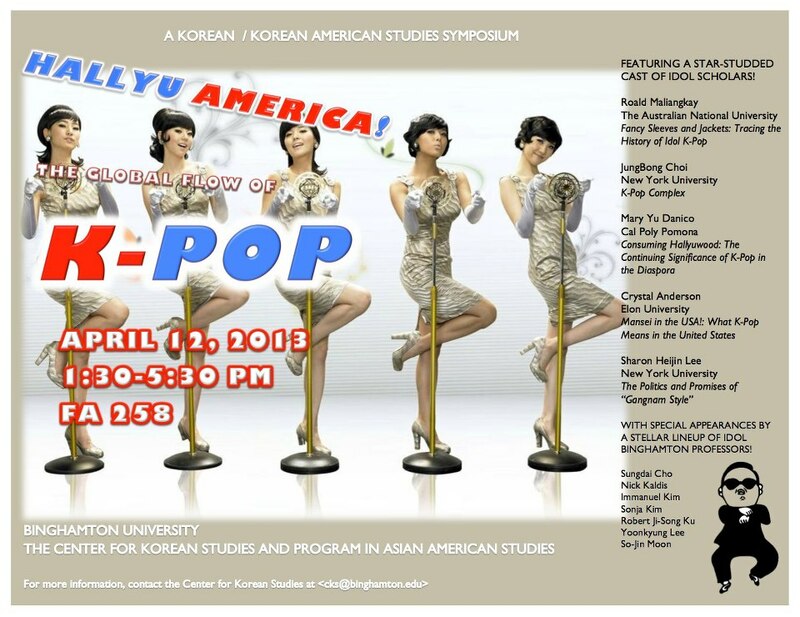 At the same time, critiques of K-pop in the United States target those very elements, mocking K-pop and its fans for the ways they diverge from mainstream American cultural norms. For many in the United States, K-pop represents a complex negotiation with a Korean global culture. Hallyu (Korean wave), a Korean cultural movement directed towards global audiences, represents hybrid and transnational sensibilities. Ever since the debut of Seo Taiji and the Boys in 1992, Korean popular music (K-pop) has been influenced by American soul and R&B. This paper examines the soul tradition in contemporary K-pop by interrogating the adoption and adaptation of the genre by several K-pop groups. KPK: Kpop Kollective will once again bring the knowledge at KPOPCON’13 February 16-17 at UC Berkeley! Do you troll the Internet for pictures of your bias? Watch dance versions of videos on YouTube? Share your opinions on a forum? Go to K-pop concerts? This interactive session will uncover the complex world of K-pop fandom and give tips on how you can be a better fan! We’ll talk about the different kinds of fans and ways they interact with and support each other and their favorite K-pop artists and groups. We will also share how you can enhance your own fan experience by learning how to protect your original fan production (like fan art and fancam video), organize and properly attribute your stash of pictures collected from around the web, and properly share images and video. About 55,000 tourists visit Liechtenstein every year. This blog was viewed about 290,000 times in 2012. If it were Liechtenstein, it would take about 5 years for that many people to see it. Your blog had more visits than a small country in Europe! Read more at the Popular Romance Project! Go check out KPK’s new enhanced profile of IU! As you know, KPK is dedicated to collecting information about Hallyu-era K-pop. To that end, we are in the process of creating enhanced profiles of Kpop artists and groups, with even more information! KPOPIANA is a collaborative digital humanities project that aims to collect and organize information about Korean popular music of the Hallyu era (1992-present). It is built on the Omeka platform, which” is web-publishing platform that allows anyone with an account to create or collaborate on a website to display collections and build digital exhibitions.” This allows us to present information in a more interactive kind of way. Boyfriend: Can They Be Yours? Don’t worry! You will always be able to find links for old and new profiles here on the KPK blog, or you can navigate straight to KPOPIANA as we migrate more profiles, so you never have to worry about where to find your K-pop info! We’ll be rolling out new enhanced profiles over the next few months, so stay tuned!